It’s time to gather with family and pray for red envelopes because on February 5, Chinese New Year is reeling in with the year of the pig! Chinese New Year lasts for 15 days and is celebrated on the first day of the lunar-solar calendar, also known as the Old Calendar. The date varies each year but always ranges from January 21 to February 20. Each year, there is a different Chinese Zodiac, or Sheng Xiao. The zodiac is one of twelve animals: the rat, ox, tiger, rabbit, dragon, snake, horse, sheep, monkey, rooster, dog or the pig. It is based on a twelve-year cycle where each year is related to an animal that has a relationship with humans. It is also an important factor in dating the year of the Chinese calendar. Like western astrology, the years represented by the animals affect a human’s characteristics. Another interesting fact about Chinese New Year is it’s not only celebrated by Chinese people! Contrary to what most people believe, the holiday is also celebrated by Koreans, Vietnamese, Singaporeans and Laotians. On Chinese New Year, many families go to temples to pray to Buddha first thing in the morning asking for a streak of luck in the forthcoming year. But you don’t have to go to temples for quality family time or luck. Most people just stay inside and eat lots of food with their relatives. Some start the holiday off with dim sum at home or at restaurants, while others get ready for a feast. 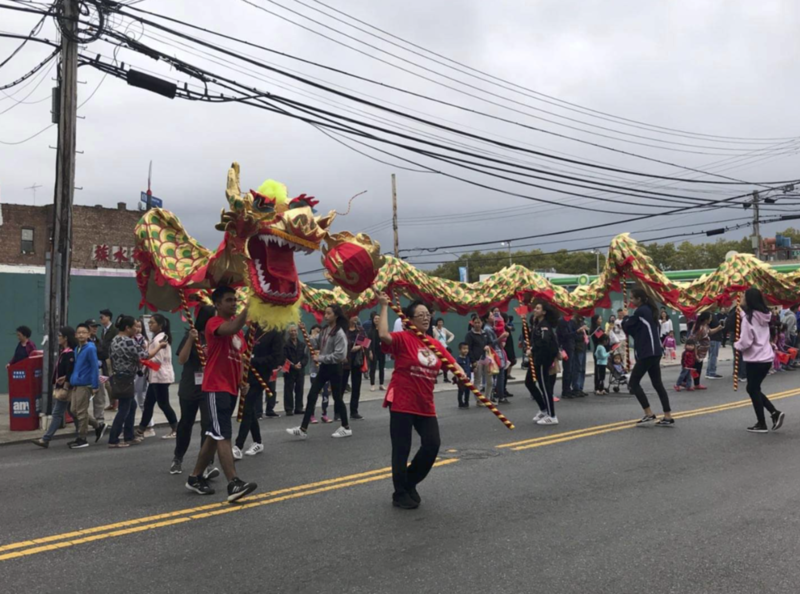 “I eat the traditional Chinese foods like turnip cakes (carrot cake), tangyuan (rice balls), nian gao (rice cake), spring rolls and a whole chicken,’’ said William Lin ‘20. These foods all have a certain symbol revolving around family in the Chinese culture on Chinese New Year. For example, turnip cakes are for good luck and fortune. Tangyuan (rice balls) represents togetherness. Nian gao (rice cake) is eaten so that everyone can be more successful than the previous year. Since spring rolls look like bars of gold, they are a wish for prosperity and wealth. The chicken represents family, the reunion and rebirth. Chinese New Year is for reuniting with family, but “it’s also about a fresh start with family,” said Wu. It’s taken very seriously by older generations because it’s seen as a time to reflect, to put all of one’s wrongdoings behind them and to start off new. But younger generations don’t concern themselves much with cultural traditions. Instead they might attend the Chinese New Year Parades held in Chinatown or on Eighth Avenue in Brooklyn. People tend to set off firecrackers during the New Year, hence the annual firecracker festivals in Chinatown. Firecrackers are a type of explosive firework wrapped in paper and lit with a fuse. In China, it’s more common to see fireworks. Either way, they are both are meant to scare evil spirits away. Although festivals aren’t the most traditional way to celebrate the new year, celebrators might make fun memories there. What else is left to know? Well “If you have lots of cousins, uncles, and aunts, you get more money because more people, more money,” said Zhan Peng ‘20. With that, remember to eat lots, spend lots of time with friends and family, and have a wonderful Chinese New Year!